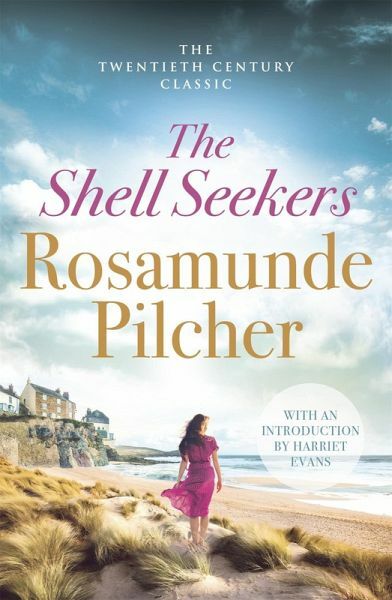 The phenomenal, heartwarming bestseller by the much-loved Rosamunde Pilcher. Artist's daughter Penelope Keeling can look back on a full and varied life: a Bohemian childhood in London and Cornwall, an unhappy wartime marriage, and the one man she truly loved. She has brought up three children - and learned to accept them as they are. Yet she is far too energetic and independent to settle sweetly into pensioned-off old-age. And when she discovers that her most treasured possession, her father's painting, The Shell Seekers, is now worth a small fortune, it is Penelope who must make the decisions that will determine whether her family can continue to survive as a family, or be split apart. Rosamunde Pilcher has had a long and distinguished career as a novelist and short story writer, but it was her phenomenally successful novel, The Shell Seekers, that captured the hearts of all who read it, and won her international recognition as one of the best-loved storytellers of our time. It was voted one of UK's top 100 novels in the BBC's Big Read in 2003. Her bestselling novels, September, Coming Home and Winter Solstice were made into television films. She was awarded an O.B.E for services to literature in 2002 and an honorary Doctor of Laws degree from Dundee University in 2010.